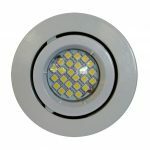 The LED Lighting Specials website and domain name (ledlightingspecials.com.au) is a shopping website where you can browse, select and order Products advertised on the Site from LED Lighting Specials (ABN: 88 099 033 191). Your access to and use of the Site, including your order of Products through the Site, is governed by these terms and conditions. Please read these Terms before accessing or using the Site. If you are under 18 years of age, then you must obtain your parent or guardian’s consent before accessing and using the Site. Please ensure that you have read all terms and conditions carefully before making your purchase. By purchasing any item, you have agreed to the exclusive terms and conditions governing the sales between the Customer and LED Lighting Specials. Prices can change at any time without notice. Prices are not an offer for acceptance. Prices could be changed after purchase. All Prices Include GST unless otherwise stated. All orders placed through this web site are subject to confirmation and acceptance by LED Lighting Specials. 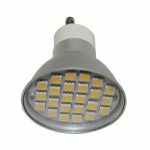 While LED Lighting Specials endeavors to bring you the best possible prices, due to the nature of the lighting industry, we reserve the right to change prices without notice at any time. LED Lighting Specials reserves the right to refuse or cancel any orders, whether or not the order has been confirmed and payment made. If payment has been made for the purchase and your order is cancelled, we will notify you immediately and refund the amount paid. We will inform you as soon as possible of any changes in prices, or cancellation of orders. The LED Lighting Specials website, eBay store and the LED Lighting Specials retail stores, may have variations in price. All stores operate as separate entities, and prices on the website and eBay may change at any time due to the competitive nature of the lighting industry. The prices listed on the website are on-line prices only, and are dispatched straight from a warehouse to you. This saves overheads and the savings are passed on to you. Prices may vary at any time, and we will not be liable to refund any differences in price if an item’s price changes post-sale. Not all products are in stock. Some products need to be ordered and could take several days before being dispatched. Every effort will be made to satisfy your order as soon as possible. If for any reason beyond our reasonable control, we are unable to supply a particular item, we will notify you at the earliest convenience. In this instance, your order will be placed on back order with your permission. If you need to know availability, we recommend you contact us by email on sales@ledlightingspecials.com.au. This way we can give you an approximate date on when the goods will arrive. We will do our best to ship your order within 1 – 3 Business days, once funds have cleared into our account, most items will be delivered within 5-10 business days, unless on Back order. Orders will be delivered to the address Provided by you. While all care is taken in the packaging and postage of your purchase, we will assume no liability for any late delivery. In addition, this does not constitute a return or a refund. Missing or damaged goods while in hand with courier will be processed according to the terms and conditions of the courier company. Claims will only be recognized within 24hrs of the delivery. If you choose not to give ‘Authority to Leave’ the goods and you are not available for collecting your item at the time of delivery, you will be liable (if charged by Australia Post) to pay any additional fees associated with your parcel being sent out any consecutive times. Mostly all pictures have been provided by manufacturers or wholesalers and are Strictly for illustrative purposes only. Whilst every effort is made to make product descriptions as accurate as possible, errors may unintentionally occur. We recommend you contact us by email on sales@ledlightingspecials.com.au to get exact descriptions of specific items. Credit Cards (Visa, Mastercard & AMEX) and Paypal. You can also pay by Direct Debit: Please email us on sales@ledlightingspecials.com.au to get the bank account details. NO credit card details are kept on record. Once your transaction has been completed, we do not have access to your credit card information. If a refund is required, and payment was made by credit card, in some instances we may have to refund the amount paid into a bank account. Your credit card goes through a Secure Payment Gateway with an encryption protocol that protects data as it travels over the Internet. LED Lighting Specials shall not be liable to the Customer, or to any other person whomsoever, for any loss or damage whatsoever or howsoever caused arising directly or indirectly in connection with the Products, other than expressly imposed by statute in terms of which it is not possible to limit or exclude liability. LED Lighting Specials expressly excludes liability for consequential loss or damage including but not limited to loss of profit, business, revenue, goodwill or anticipated savings. Terms and conditions are subject to change at any time, without prior written notice. Therefore, please check these terms and conditions carefully each time you place an order with or accept delivery of any goods from LED Lighting Specials. Terms and Conditions shall be governed by and construed in accordance with the laws of Queensland and shall be subject to the non-exclusive jurisdiction of the courts of Queensland. LED Lighting Specials Lay-by’s are of sixteen (16) weeks duration only. The deposit for the Lay-by order must be no less than 30% of the total amount of the lay-by. A Lay-by order is a firm sale – We will not refund you if you change your mind. If two (2) or more items are placed on a lay-by together, they may not be split and picked up separate. If you decide to cancel the lay-by, a 20% re-stocking fee of the total lay-by value will be charged, and any difference paid that is above the 20% can be refunded in the form of a store credit. This cannot be refunded for cash. If your lay-by is overdue, every effort will be made to contact you to remind and finalize the payment. If it is more than three (3) months overdue, and we have made every effort to contact you and cannot get in touch, the lay-by will be cancelled by us, the items will be returned to floor stock. Use of the information and data contained on this website is at your sole risk. The information and data on this website is subject to change without notice. 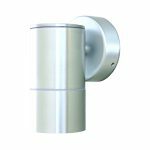 LED Lighting Specials make no representation, expressed or implied, as to the accuracy of the information and data contained on this website. LED Lighting Specials accept no liability for any use of the said information and data or reliance placed on it. LED Lighting Specials make no representations, either expressed or implied, as to the sustainability of the said information and data for any particular purpose. LED Lighting Specials make no warranties that the information and data is free of infection by computer viruses or other contamination.